St James stands proud above the village of Antony close to Antony House, home of the Carew Poles. Outside the main porch one trips over the graves of some of the family and their names are prominent on the (short) list of parochial church members in the porch. This is clearly ‘their’ church and the stocks appear to await anyone who disputes it. Sadly, the porch also carries a rather permanent-looking small sign ‘The Parochial Church Council much regrets that the church must be kept locked when unattended’. So we restored to looking through windows. The interior is unplastered which is slightly suprising for such a ‘polite’ church. It is said to contain an excellent brass to Margaret Arundell, the ‘most spectacular in Cornwall’ (Pevsner) and a pulpit of possibly Spanish origin. It certainly looks light an airy. There were signs of plastic sheeting which suggests that there is a problem with the ceiling or intruding birds or bats. 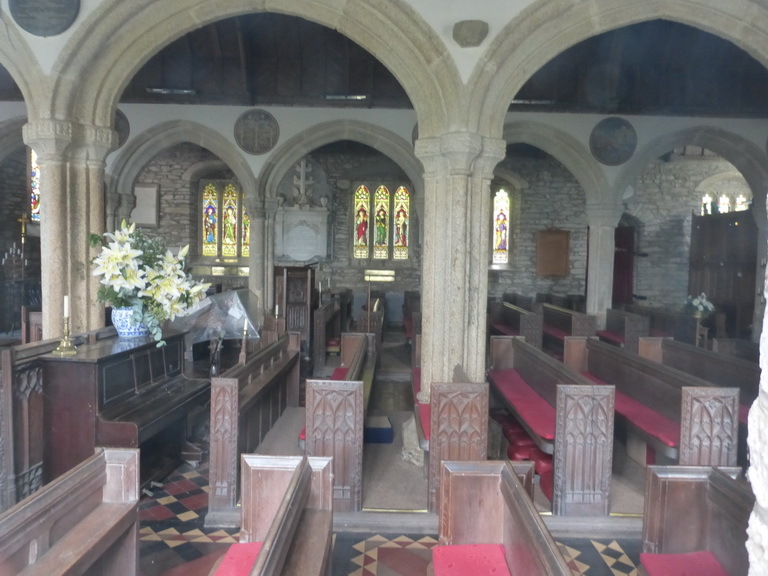 Another notice in the porch described the removal of the screen and choir stalls as having freed up a ‘fine open space where the Church School children can give expression to worship in mime and drama’. An example of the conflict between the traditional shape of a church space and modern usage. Echoes of school recorder concerts also come to mind. 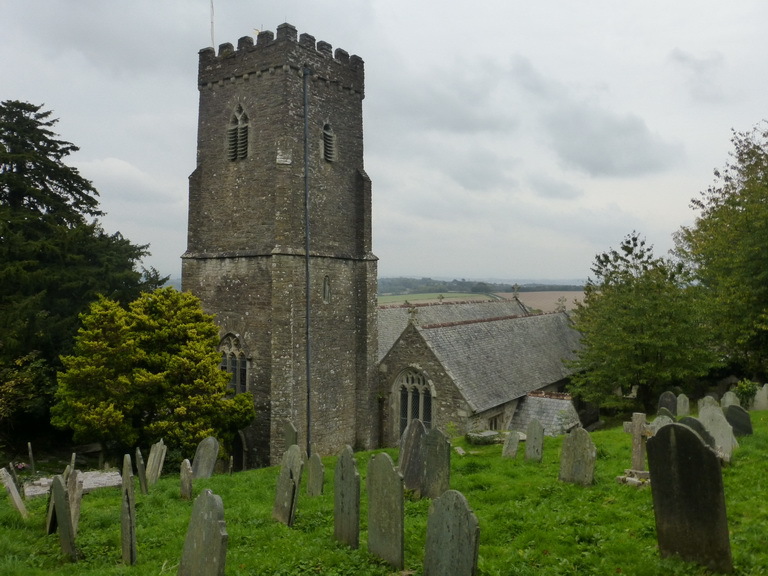 Like so many Cornish churches, this was built on a hillside but then appears to have sunk into the ground or been surrounded by additional soil. The south porch is particularly strange. It is a ornate as you would expect of any porch but the embankment is barely two metres away from the outside. 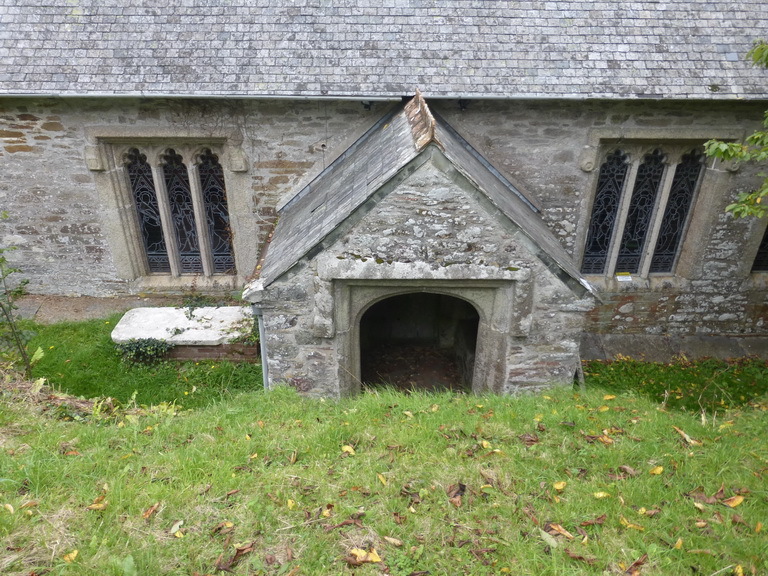 Churches like Fowey and Talland have solved this problem by creating an arched porch. 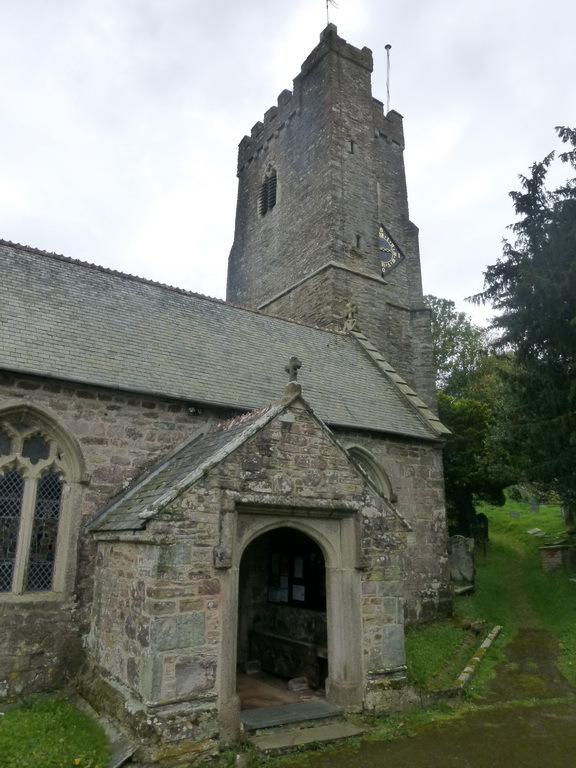 The tower is the curiously ‘d’ shaped tower that can also be seen at St Martin by Looe, with a staircase turret at one corner, not only putting the windows off-centre but obscuring the fine clock. We left, hoping that one day the PCC will find a way of opening the church or at least arranging for someone close by to hold the key to allow casual visiting.